A large interfaith event concerning the treatment of refugees took place last month in San Bernardino, sponsored by the Ahmadiyyah & LDS faith communities. As it turned out, it was also a very significant one for the Baha’is to spread our views of oneness. It is truly exciting to be included, and provide those in attendance a new hope for humanity – especially considering the many oppressed areas which exist in San Bernardino. The event has also had a trickling effect – the results of which are yet to be fully known. 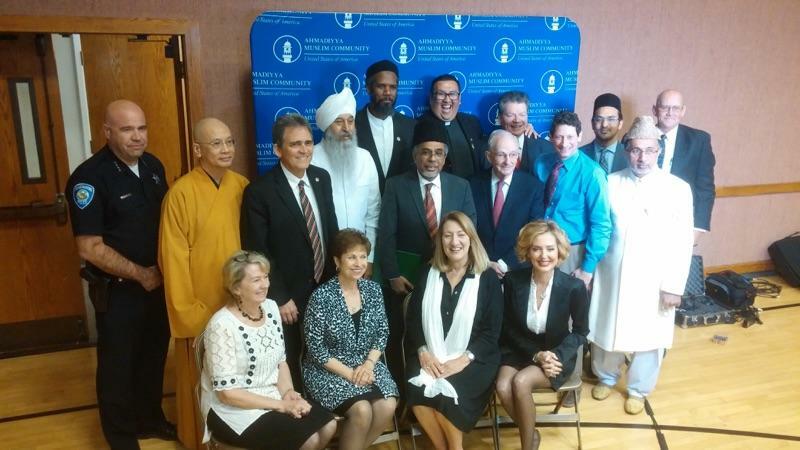 However, as one of the immediate outcomes, and because of much publicity from that evening, Soheila Azizi was invited to participate on behalf of the Baha’i Faith in a Buddhist event this coming summer in Anaheim. 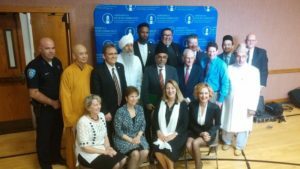 Similarly, the Baha’i Faith’s name and recognition on that panel led to the inclusion of the Baha’is some days later in the program of another event called Common Grounds for Peace, at which was offered a short talk and a prayer. Common Grounds for Peace events include monthly walks for peace and at ending gun violence. The Baha’i perspectives on community building, and nurturing a culture of love and unity are fresh ones and were welcomed by the group’s organizers in their work in crime prevention. 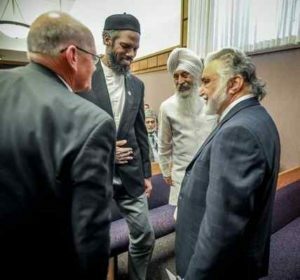 The organizers have requested that the Baha’is become one of the hosting faiths, and contact with LSA members in the local areas are underway to get them involved in many of the San Bernardino interfaith activities. We are now at the unprecedented cusp of working with peace coalitions and networking with faith and service groups. We all know that our Baha’i contribution is important, with its focus on building capacity and creating youth empowerment programs – what an opportunity to bring this learning to the San Bernardino area churches and community centers!